Today is a special day to celebrate and thank all the teachers and mentors who have planted the seeds of knowledge in our lives. It's the occasion to appreciate their efforts, show them some love and treat them with something very special. 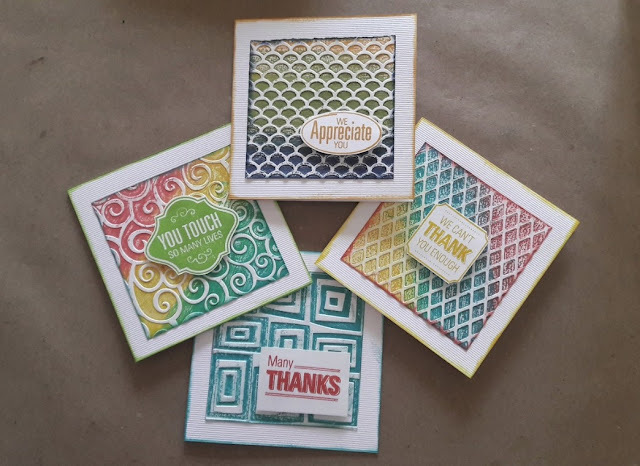 So we came up with a fresh new idea and created a bunch of fascinating dimensional watercolor cards with raised patterns. 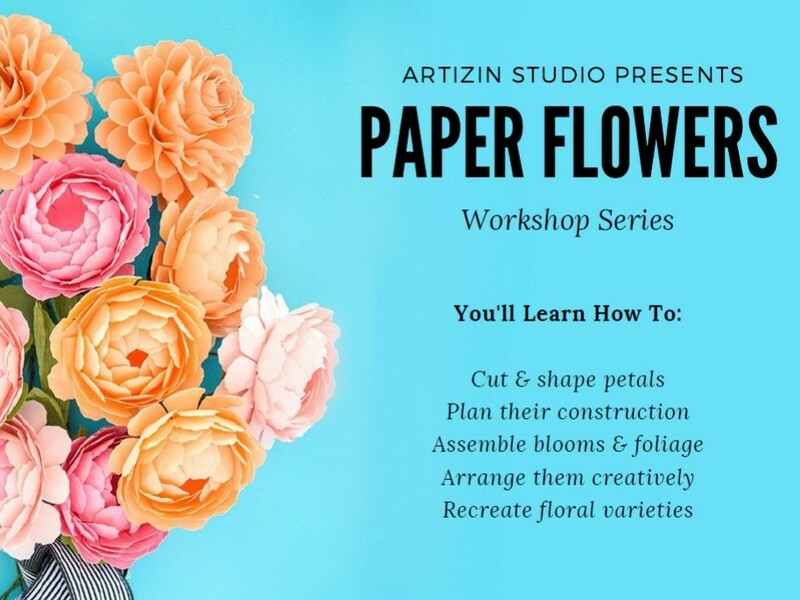 These are so elegant, feminine and with the watercolor effect it adds a touch of beauty to any type of paper! 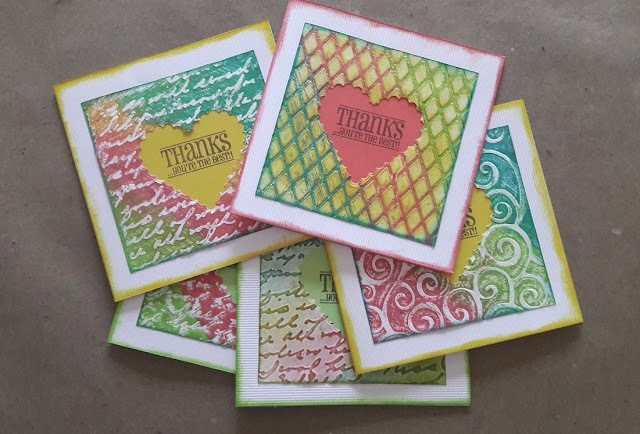 The first collection is a set of 12 cards with different color combination and backgrounds following the same card pattern. 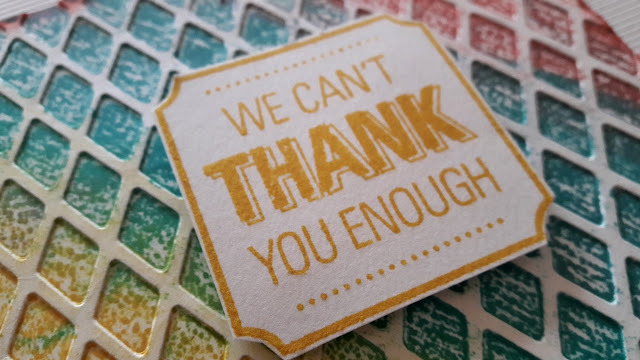 Each card measures 5" x 5" inches and is layered with an embossed (raised effect) card that is further enhanced with water color effect by rubbing a mix of colorful inks on the embossing folders and then running them through sizzix big shot machine. 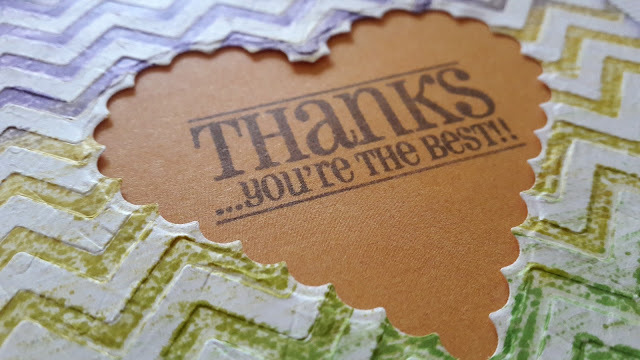 The center of the layer is cut into a scallop heart and is stamped with a sentiment that says "Thanks... you're the best!!" A colored card sheet below the heart shape adds to the dimension of the card. The soft edges of the card is achieved by inking a sponge and then rubbing it along the four sides of the paper. 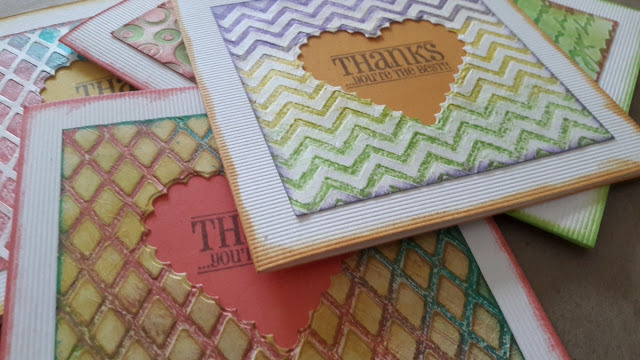 This technique gives a soft feathery edge and a shabby vintage look to each card. 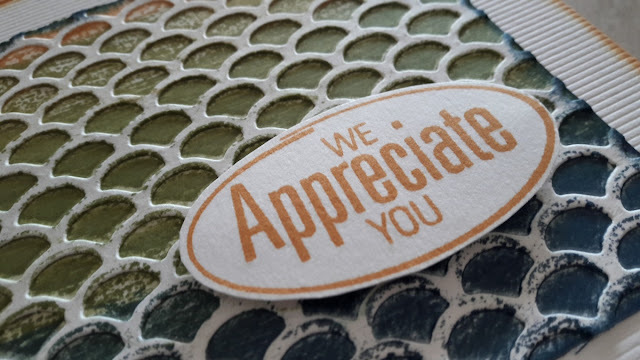 To express our heartfelt emotions, we added a quote on the inside and a thank you signature note with the child's name. 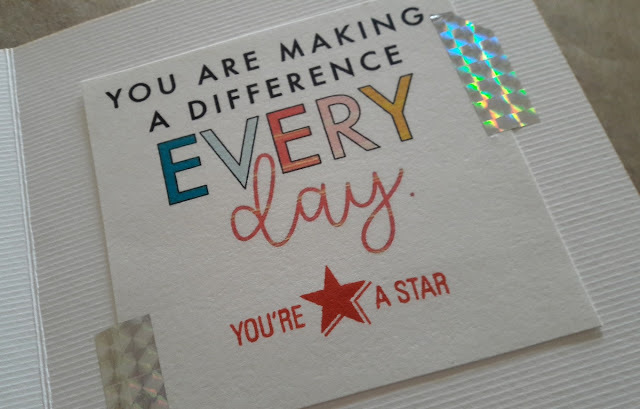 The quote is printed on 150 gsm paper and adhered to the card with a glittery tape. The next collection is a set of 4 cards, each with a unique sentiment layered on top of the embossed surface. 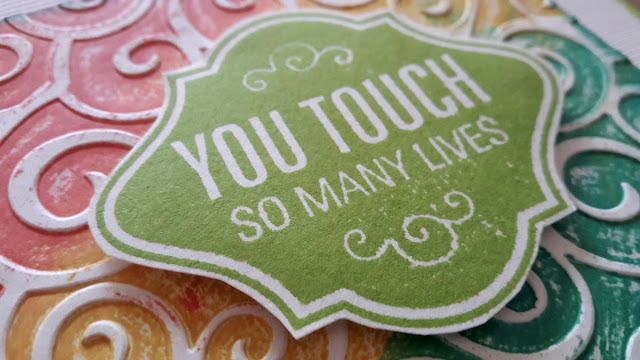 To add dimension to the card, each tag was raised with a few foam dots. These cards are perfect for the principal, school in-charge, school coordinator and the admissions in-charge who may not be involved in teaching but play a vital role in a child's life. The inside of these four cards was personalized with a different quote and finished with the school's motto stamped on it! This was a perfect opportunity for us to say thank you to those people who teach, support and nurture our children through their education. Each of these 16 handcrafted cards had a handwritten note saying "Happy Teacher's Day" and was sealed in an envelope made from handmade paper. What a perfect way to say thanks to teachers who have helped you or your child learn something new! 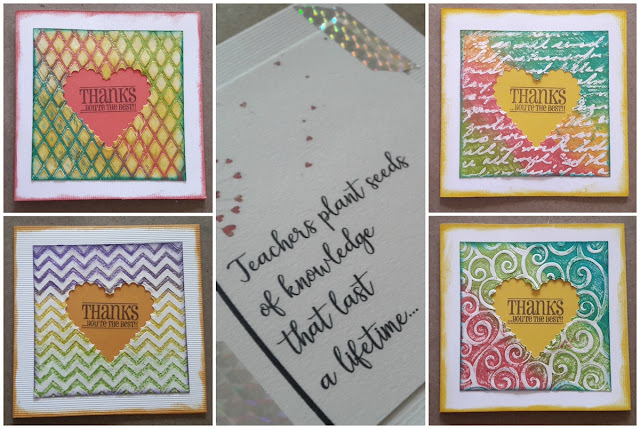 There are so many fabulous ways to show some love to your gurus. And we all know how much they deserve it! 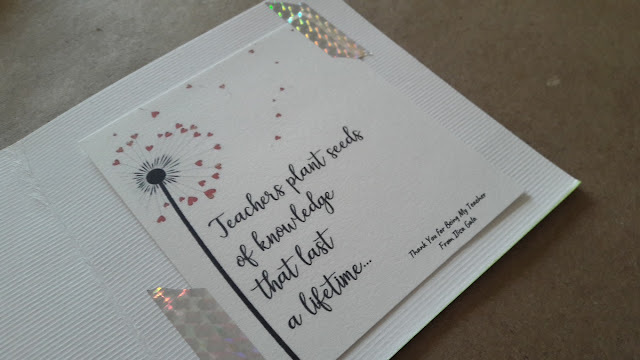 So let your creative juices flow and create something with your own hands for your favorite teacher and appreciate him/her for helping you grow. Stay tuned to our YouTube channel for a complete video showing you the different techniques used in making these stylish cards! Check out our entire collection of artwork for DIY inspiration and follow us on Facebook, Instagram, Pinterest and Twitter to stay updated on our daily DIY projects and creative ideas!